It is well known how random number generators play an important role in the blockchain ecosystem, requiring random number services that are safe, unpredicable and reliable. Exisisting public chains such as EOS have provided random number services in the past, but often attacked by hackers due to unproperly design. The process of generating random numbers is fully decentralized and open to all, so that everyone can participate in generation and verification, while ensuring the minimum probability of manipulation by carefully designing the incentive mechanism. The result of the random number passes the highest level of cryptographic randomness check: The National Institute of Standards and Technology SP800-22 test. This result indicates that no one can predict any of the future random numbers, with the random result able to be used directly. No additional processing is required, such as increasing entropy. To further explain point one: verifiable random function is used to compute a random number, which the blockchain verifies and aggregates to generate the final result. This mechanism is enhanced with high penalties and a reasonable incentive model to prevent malicious behavior. Secondly, Ultrain’s random number process passes the NIST SP800-22 random number test. This certification is the most strict random test in the industry, used to be a requirement for traditional financial transactions and information communication, guaranteeing the security and randomness of the many services built on top of Ultrain. These two tests count a random number of binary digits. If one of the numbers is obviously more than the other, then the test will not pass. The test checks any sequence of length M for the sequence. If there are any discrepancies the test will not pass. These two tests will count consecutive sequences of binary. Strings that do not conform to statistical characteristics are considered to fail the test. The Longest Run test counts the longest 0 or 1 in any specific sequence of arbitrary length. Demonstrating results outside of the standard distribution will fail. The entire sequence is divided into several non-adjacent sub-matrices, and then the order of the matrix is ​​tested. The purpose of this test is to find out if there is a correlation in the sequence. That is, whether other sequences can be inferred by another sequence, which would seriously affect the predictability of random numbers. Certain sequences can sometimes appear too often, such as 01011. If there are too many instances of this sequence, it will allow attackers to predict future outcomes. For example, after 0101 appears, the next bit is more likely to be 1. This test performs a discrete FFT transformation of the sequence into the frequency domain and then observes if there is a specific number will appear with an abnormal peak. The test moves the window one bit at a time to find a periodic or non-periodic sequence. Generally, it is possible to traverse all possible length of sequence at a certain length. For example, for a width of 4, a total of 16 types of 0000, 0001, 0010, …, 1111 can be found. If any one of the frequencies is abnormal, it will fail. The test is made by compressing a specific sequence. If a specific sequence can be compressed to a shorter extent, then the sequence itself is redundant and autocorrelated, which is predictable, so it cannot be considered random. If 0 is regarded as -1, then starting from 0 o’clock, left and right, such as 010 is equivalent to walking to -1. This series of tests will study the maximum length of any sequence walked, and the frequency of staying at the point where the walk passes. Any situation that does not match the statistics will fail. For each test case, a pass rate of 60/64 and 41/44 was achieved, which means that it passed all tests. All test data has been uploaded to Ultrain’s Github library(https://github.com/wanghs09/randgen), so anyone can repeat the test. 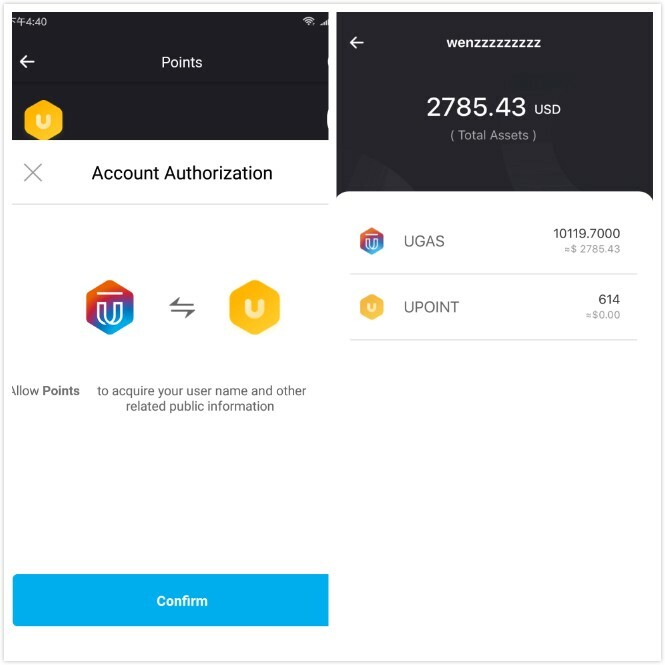 In addition, Ultrain will display the random number in the near future via Ultrain.io. Anyone will be able to generate their own random number data set from Ultrain through this webpage and repeat the test. Passing the NIST SP800–22 test demonstrates that Ultrain’s random number generator is safe, reliable, and sufficiently random. This also implies that all random numbers generated by the service can be used without additional processing, since they already guarantee enough randomness. Soon, everyone will be able to generate random numbers of the same security level, thanks to Ultrain. Ultrain continues its work with partners to apply random numbers in the blockchain industry, contributing to fairness and security for all. 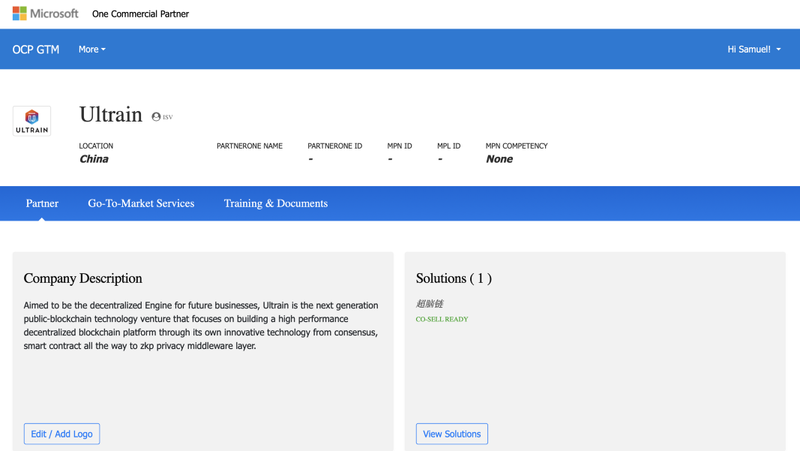 As of today, Microsoft will officially start selling Ultrain's trusted computation service to external enterprise clientele, reaching its large worldwide customer base. 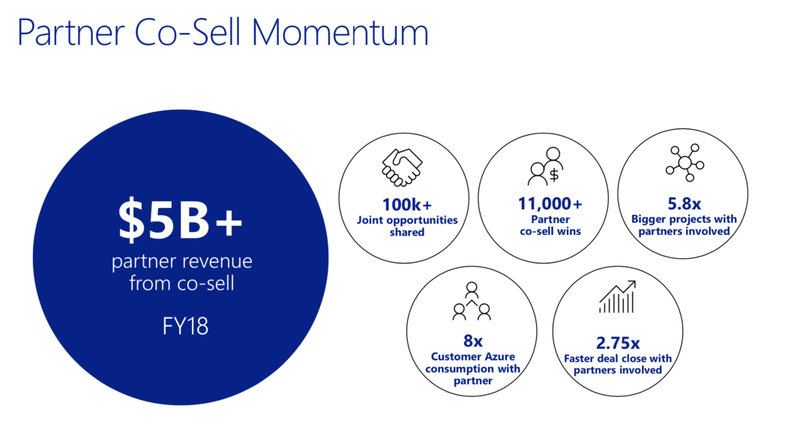 Microsoft’s immense salesforce will encourage clients to join Ultrain’s ecosystem as paying customers. Simultaneously, Sales team staff will receive substantial rewards to further encourage and promote Ultrain’s services to future clients. This will allow Ultrain to better serve future enterprises. 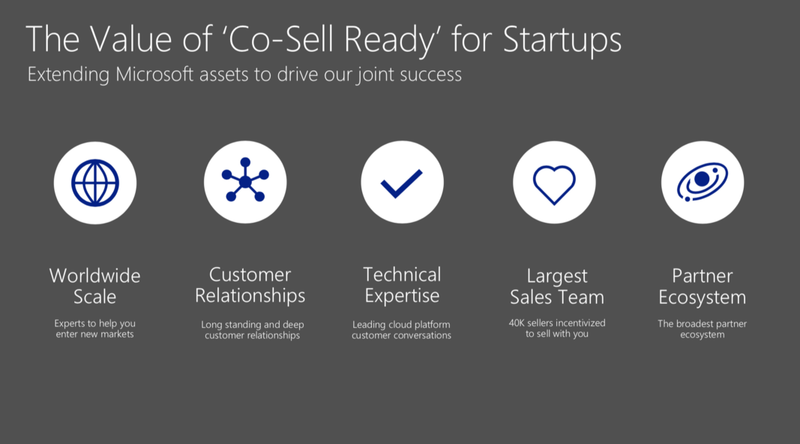 Co-selling with Microsoft is a collaborative sales program. Its goal is to pave a path for its partners, opening new opportunities for clientele and increasing revenue. By being listed on the Co-selling network, Ultrain will receive exceptional support from numerous experts, as well as the opportunity to share an extensive client network established by Microsoft and its 40,000+ salesforce staff. By partnering with Co-Selling, Ultrain will be able to expand its reach into the global market. This is a significant step for Ultrain’s trusted computing service, showing it has a promising future with unlimited opportunities. We look forward to the day that Ultrain’s blockchain based technology will be deployed and used in various industries world-widely, making commercial adoption of blockchain technology a reality. This Article is written by @HELLOBTCCOLLEGE, Article represent the view of the author and does not represent the view of this project nor this media. 2018 was a year that saw an outbreak of new public blockchain projects, with many different chains launching main nets. Marketing driven slogans such as “blockchain 3.0”, or even the extremes of “Ethereum killer”, were common place for a period of time. After the initial hype of some projects, many public chains soon fell into silence. In fact, it is common for some projects to pack their bags and head home, considering it a “job well done” after launching their main net. Few public chain projects are concerned with actual application adoption and the expansion of their ecosystem, which is an essential component of creating useful blockchain infrastructure that serves the real economy. Ultrain, which hopes to promote the early arrival of a programmable business society, is among the few projects with adoption. In the first quarter of 2019, China’s largest streetwear e-commerce platform YOHO! established a secondary trading platform for sneakers called UFO. The platform employs blockchain technology to maintain authentic information throughout the C2C sneaker trading service. Ultrain’s substantive cooperation with YOHO! is an eye-catching event for the industry, representing a significant step forward for the industry. 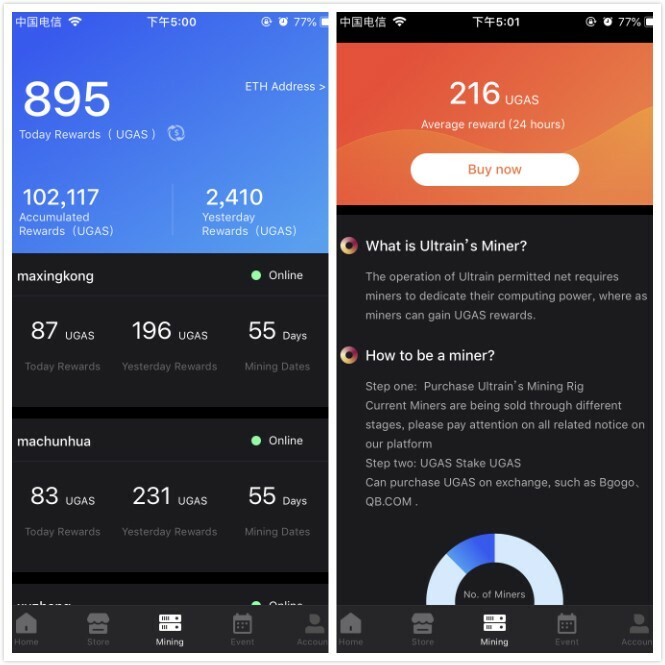 In the first quarter of this year, Unitopia, Electric Soul Blockchain Laboratory’s blockchain development wing, announced that it is investing millions of yuan to purchase a dedicated side chain service from Ultrain’s commercial network. This sidechain will supply blockchain computing power to their gaming platform. A privately owned green energy company using blockchain and Internet of Things technology to create low-cost mutual trust to allow carbon credit creation and exchange. In the highly competitive public chain landscape, how does Ultrain differentiate itself? Through the innovative RPoS consensus mechanism, 1% of nodes in the network are randomly selected to participate in consensus, which results in a significant improvement in TPS, while remaining highly decentralized. In addition, Ultrain optimizes the development of smart contracts based on TypeScript, making development very fast and convenient. As Rui Guo, Ultrain’s founder, said: “The initial value of Ultrain is a well-established underlying infrastructure technology. The goal of the Ultrain team is to build a reliable, efficient, easy-to-use infrastructure that truly promotes blockchain applications”. Cost management, more acceptable pricing. The Ultrain is dedicated to providing trusted computing services to enterprises, building a shared economy based on trusted computing power. When a company purchases a trusted computing service, Ultrain assigns the resources from computing nodes in the network to provide trusted computing to the client. Ultrain’s sidechain architecture significantly reduces transaction costs, with the final transfer cost being only 1/20 of Ethereum, which is suitable for large-scale commercial applications. Solved privacy concerns for commercial companies. For business applications, not only are performance and cost required, but privacy is also critical. Due to the transparent nature of blockchain data, anyone can normally view the information on chain. However, for sensitive information ultimate transparency is not desirable. Ultrain’s zero-knowledge proof tool can provide identity proofs without leaking private information, which not only provides a solution for information privacy, but also greatly increases computing speed. More and more enterprises have shown interest in the blockchain industry, as the space matures. However, due to the wide variety of application scenarios and technical requirements, providing customized services that meet the professional demand of enterprise clients is crucial. As Guo, Ultrain’s CEO, said “We are creating a one-stop service for clients that fulfill clients at any level of understanding”. One of the reasons for Ultrain’s commercial success is a world class team. Ultrain’s CEO, Guo Rui, as the former technical director at Alibaba, has a deep understanding of the pain points facing enterprises, and the significance of digitization in enterprise empowerment. Co-founder and CSO, Liao Zhiyu, has a rich background in finance and has extensive experience in corporate operations, accelerating Ultrain’s commercial promotion, publicity and community building. Li Ning, co-founder and CTO, has more than 11 years of experience in the Internet industry and was the technical leader of Alipay’s blockchain team. His understanding of blockchain’s underlying architecture is profound. Under his leadership, Ultrain’s technology team has provided excellent solutions and maintained the stable operation and development of the Ultrain chain. In addition to the three founders, other core members also have glamorous resumes. Ultrain’s chief architect, Shen Yufeng, was a senior technical expert at Alibaba and a core architect at Google; his chief cryptographer Wang Husen has served as an expert at Ant Finance’s cloud computing division. 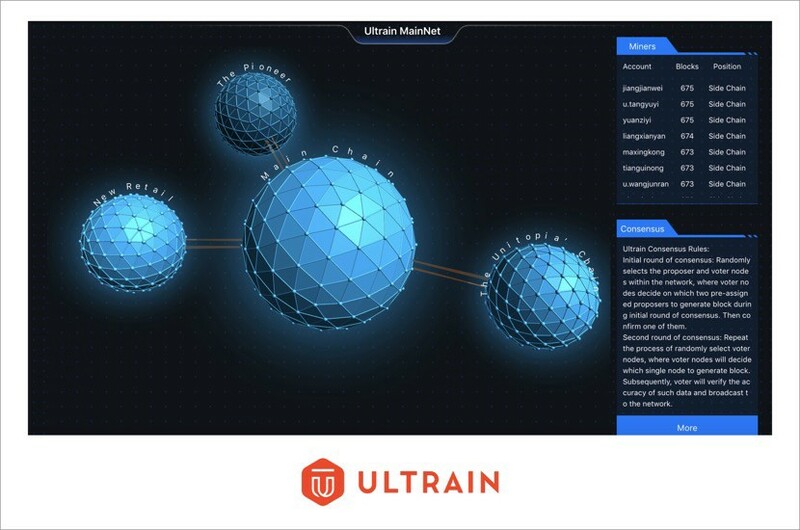 Ultrain experienced architects and cryptographers optimized the overall technical architecture and encryption algorithms to create a chain suitable for commercial applications. Coupled with Ultrain’s ecosystem development department, there is a compelling case for widespread cooperation with enterprise. When the underlying public chain technology’s performance is guaranteed, the commercial value of a project depends to a large extent on the health of the business ecosystem and the scale of cooperation, which is why Ultrain has focused on business development involving multiple industries. In the e-commerce industry, Ultrain is partnered with the largest domestic street ware e-commerce trading platform — YOHO! — to link product and trading information, to provably authenticate goods. In the field of gaming, Ultrain’s cooperation with the publicly listed gaming company Electric Soul to create decentralized board games, which solved the long-standing problem of fairness in digital games. Through the above examples, it is not difficult to find that Ultrain effectively solves trust problems in different application scenarios. Ultrain’s efficient, low-cost, and widely implemented trusted computation is the framework of a new way of doing business. We expect many more large-scale commercial applications to come. Ultrain provides commercial solutions to well-known enterprises in both domestic and internationals market, with commercial applications emerging in various industries, serving as validation of Ultrain’s technology and team. The launch of the main network on April 15 is a significant milestone for Ultrain, which will result in more business partners for the emerging company. This is significant for the ecosystem’s growth, increasing the commercial value of the underlying public chain. We look forward for subsequent adoption and development from this blockchain 3.0 project, as a leader in a new field. When asked what the most important component of any entrepreneurial project is, I believe most people will answer: the team. Ultrain is currently developing a prosperous community ecosystem, growing both at home and abroad. Ultrain’s “dream team” is at the core of this growth, with numerous innovative theories, extensive engineering experience, and a strong connection to global capital and busineses. Ultrain was founded at the end of 2017 by three all-star business and technology leaders. They are Guo Rui, the former technical director of Alibaba’s security business group, Emma Liao Zhiyu, former managing director of Golden Brick Capital TMT, and Li Ning, head of IoT investment for Qihoo 360 and former head of Ant Financial’s blockchain team. Other core members joined soon after, such as Ultrain’s Chief Architect, Shen Yufeng, who is the former senior technical expert of Alibaba’s operating system “AliOS” and core architect Google Canada ChromeOS. Husen Wang joined shortly after as Chief Cryptographer, thanks to his experience as the former lead cryptographer at Ant Financial Blockchain. Most recently, Samuel Xiao joined the dazzling team as Ultrian’s vice president of ecosystem and business development. He served as Senior Consultant Manager for IBM’s Global Consulting Services, where he was responsible for end-to-end processes, from IT strategic planning to complex system implementation. Samuel was responsible for clients such as SF Express, Yuantong Express, China Mobile, Huawei and other large enterprises. Samuel is also a former partner and CTO of the Green Pine Dream Capital, responsible for investment and post-investment management of corporate SaaS, AI and big data projects. We are proud to announce that, as of today, Samuel has become a member of the Ultrain core team. His roll is dedicated to onboarding commercial applications to Ultrain and building a collaborative ecosystem. 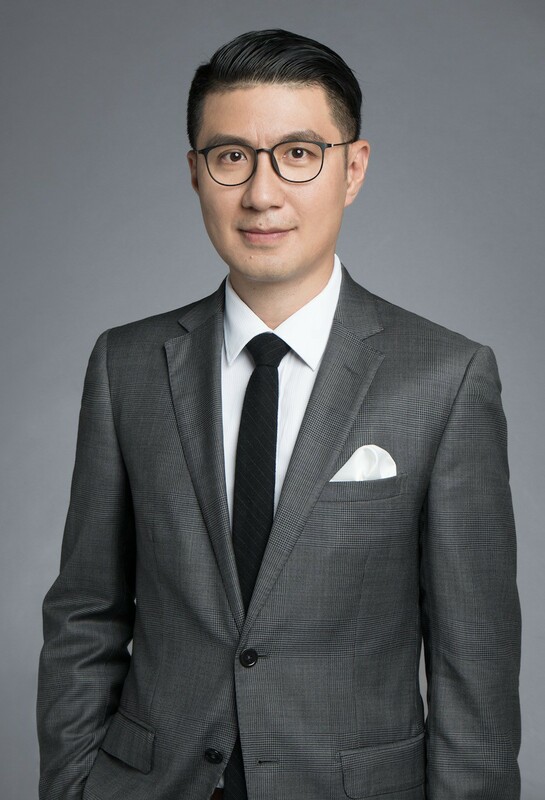 Samuel will work closely with the other five members of the core team to create a new business ecosystem, reshaping the trust boundaries of the business community through technology, and jointly realizing Ultrain’s ultimate dream — to create a programmable business society of the future.